Specializing in contemporary and modern furniture, we take pride in representing over 40 high end, top quality international lines of residential and executive furnishings. Get on the list and be the first to know about special offers, events, and decor trends here at Parnian Furniture. From Italy, Switzerland, Canada, and the Continental United States, we carry an exclusive and luxurious collection of products from all over the world. 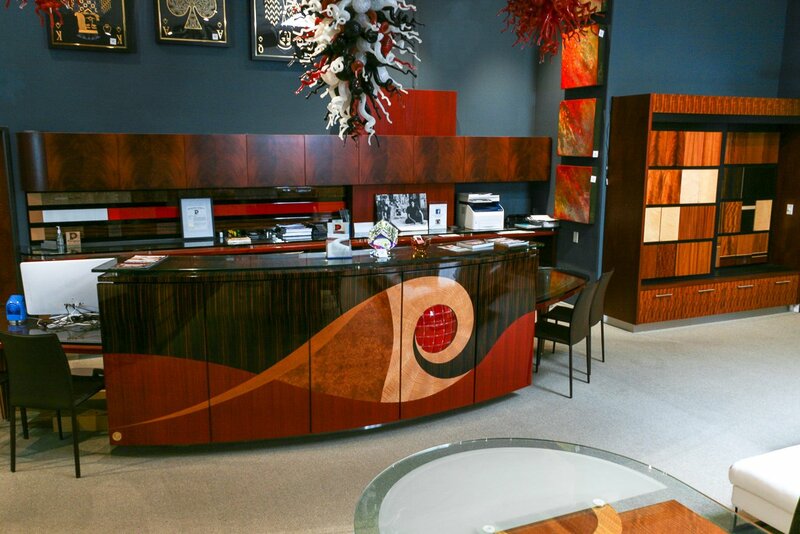 Offering endless possibilities of custom designed case goods with a diverse spectrum of characteristics including exotic woods, lacquer finish high-gloss or matte finish; glass, brushed aluminum, stainless steel, or stone. Family owned and operated since 1977, we create and build beautiful home furnishings and executive home office furniture with a team of master craftsmen and the accommodation of our own personal workshop located in Phoenix, Arizona. One of the world leaders in designing and creating furniture pieces that suit the sophistication and modern lifestyle of our clientele, Parnian Furniture is built to amaze. Constructing case goods such as Dining and Conference Tables, Executive Desks, Bookcases, Platform Beds, Media Consoles, Entertainment Centers, and many other types of home decor. Visit our showroom in Scottsdale today to get started on the project of your dreams.